Get cash before you go – While many of the vendors take debit and credit cards, at street festivals it is often easier and quicker to have cash. Swing by your bank or an ATM before you arrive as the ATM line in the Market Pavilion tends to get rather robust. Speaking of lines – there are lots of lines and there is no way you can survive these lines with your children. Your best bet is to split up. My wife stayed with the kids while they listened to the band playing in the Pavilion and I ventured off to grab drinks for our crew. And if you want one of the popular food items like Woodfire Pizza, then get there early before the line takes on amusement park levels. Enjoy the Millennium Fountain and Riverwalk area for a breather. Just when you think your kids are going to lose their minds because you let them have cookies in the shape of a mason jar (yes, you can get those at the Market! ), then head over to the fountain and riverwalk area. A quick walk along the river and a little more open space where they can run will do everyone some good. Speaking of extra space, the north end of Water Street is a little less crowded and gives you some space to breath as a family. Plus, this is right next to where the Commissary is parked. Grilled Cheese! Kids love it. I love it. And the Commissary is awesome. Plus, there are a few tables and the second live music stage is here! One word – Granita. Just when the kids were going to give up on any amount of good behavior, we spotted the Zammuto’s stand and the Rockford Original served us up the perfect cool treat to get us to the end of the market. Give your kid $5. That’s right, give them some cash. Let them have the experience of picking out their own favorite produce and you will see the excitement on their face. “Hey dad, I just bought $5 worth of dill. You know I like dill pickles.” That’s a direct quote from my son. I’m not kidding; we have a lot of dill now. Along with these tips, don’t forget that you can hop the free trolley throughout the downtown as well each City Market night, and make sure to check out the weekly Kid’s Activity Booth and the Rockford Area Arts Council Booth to help keep the kids active! 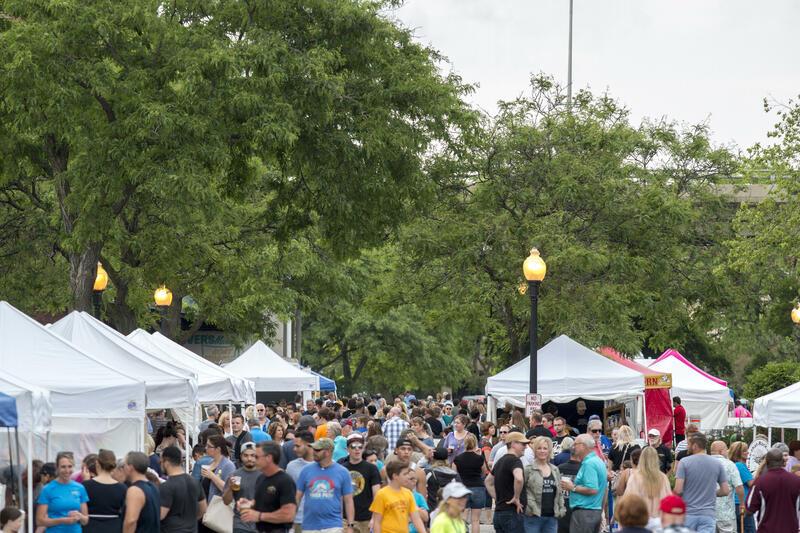 Rockford City Market takes place every Friday from May 20 through September 30 along Water Street between State and Jefferson Streets in downtown Rockford. The market runs from 3:30 – 8:30 p.m. before Labor Day and 3:30 – 7:30 p.m. after Labor Day. 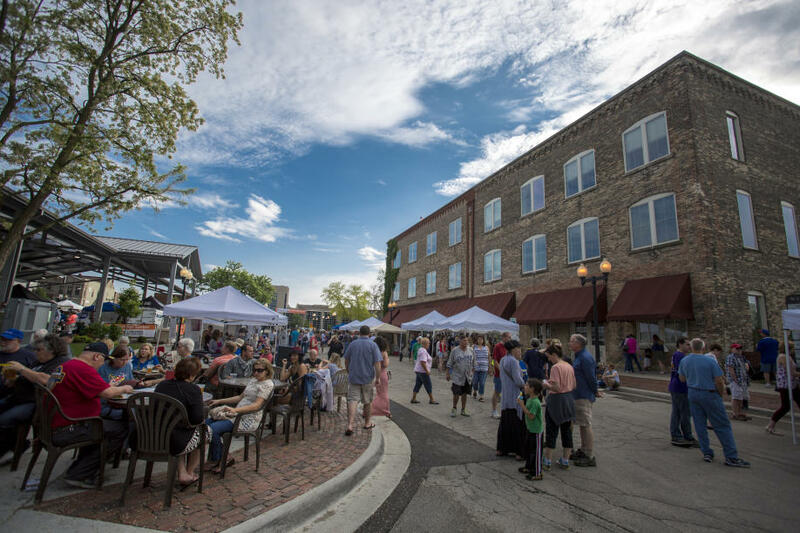 Rockford City Market was founded and is managed by the Rock River Development Partnership and operates with infrastructure support from the City of Rockford and marketing from the Rockford Area Convention & Visitor&apos;s Bureau.